Separating like a ghostly apparition from the elderly mage and forming his own solid body, the Dark Soldier confidently steps forward to confront the three armored youths alongside his master. With no doubt the oldest and most experience of the trio kept occupied by the old man, the soldier deals with the other two himself, attacking head on with an array of powerful magicks and strikes with his Keyblade. Even with strength in numbers, they are no match for him. 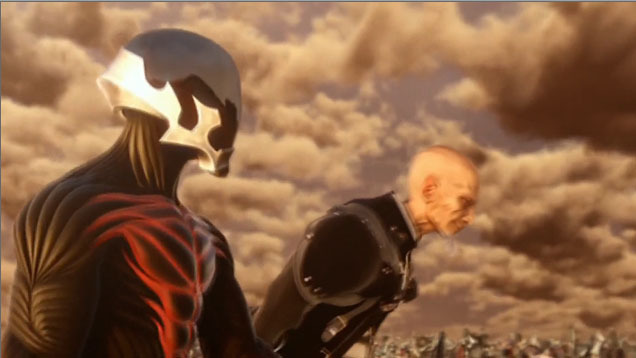 The Dark Soldier returns to his master's side and gazes blankly behind his mask with Kingdom Hearts leering overhead in the sky.